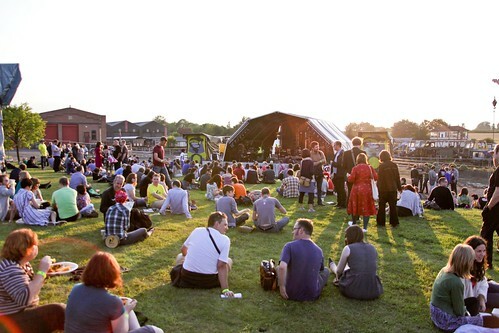 On the 24th of July, I was lucky enough to play Indietracks 2010. And I had a whale of a time! 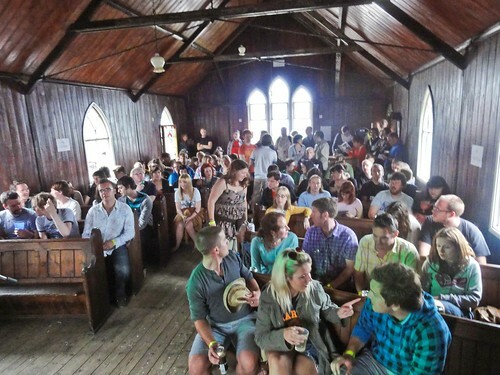 I played in the church which, for me, is the best stage of all. It’s the right size for the intimacy I want in a gig. It was a bit nerve-wracking as I was doing two very new songs, one only around three weeks old. And both of them are still too raw, singing them is perhaps too much catharsis as opposed to performance. But the gig went well and I met loaaads of lovely people afterwards who said they’d loved it. Bless em! That’s the best thing about gigging: the connections you make that would never have been possible otherwise. It’s one of the times that I, as a nutter, can try to break down the walls between me and other people without getting carted away to a loony bin. So, let’s hear it for socially-sanctioned temporary transgression of normal mores!